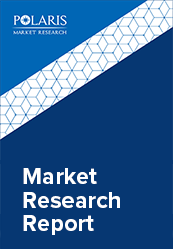 The Global Osteoarthritis Market Size is majorly driven by factors such as prevalence of osteoarthritis in the geriatric population, and rising need and demand for proper treatment of osteoarthritis across the globe. Osteoarthritis is considered to be the most common type of arthritis, affecting millions of people globally. It can be defined as a disorder that affects mostly the joints in a human body, and is caused by the inflammation, breakdown, and loss of cartilage in the joints of hand, knees, spine, and hip. This is also termed as degenerative arthritis. The major prevalence of this disorder is found in the geriatric population. Osteoarthritis on an average affects 10% of men and 12% of women that are aged above 60 years. It is a progressive disease that has no permanent cure, but its pain and swelling can be controlled with the help of pain killers that helps an individual to stay mobile and carry out regular activities. Osteoarthritis normally begins after the age of 40 years, but can affect the younger people after traumatic injury. This is a chronic degenerative disorder that results in biochemical breakdown of the cartilages in the synovial joints. The wear and tear of the tissues over the time is one of the major cause of osteoarthritis. This disorder is majorly characterised by pain, stiffness, loss of flexibility, tenderness, and bone spurs. With no proper cure to this disorder the major painkillers are used for reducing the intensity of pain caused due to this disorder. Moreover, staying active by maintaining healthy weight by regular exercising and stretching may slow down the progression of this disorder and help in improving the pain and joint function. While, continuous increase in the number of phase III drugs such as Invossa, and Ampion would also influence the market in the near future. Rising need for effective treatment for Osteoarthritis, and increased pipeline analysis for developing innovative products for treating osteoarthritis will support the growth of global osteoarthritis market. The market is primarily driven by growing number of patients suffering from osteoarthritis globally. For instance, approximately 27 million people in the U.S. alone which is one of the major reason that has increased disability in the U.S. Additionally, increased number of chronic disorder such as diabetes, & cardiovascular diseases, and increasing preference for the sedentary lifestyle that reduces the movement of the body would add on the growth of this market during the forecast period. Moreover, rising prevalence of geriatric population would also spur the market in the near future. According to National Institute of Health, the aging population is projected to increase by 17% (1.6 billion) total population by 2050. Furthermore, increasing number of clinical trials for developing new drugs to propel the growth of this industry in the near future and rising demand for cost-effective diagnostic techniques to boost the osteoarthritis market. However, no proper cure for the disorder and unmet needs for treating osteoarthritis might hinder the growth of this market in the near future. The global market is segmented on the basis of therapeutic type, and geography. Increased expenditure on R&D for developing new and effective treatments and changing lifestyle to lead the osteoarthritis market growth in North America. North America region is expected to dominate the global osteoarthritis market over the forecast period. North America holds major share owning to the continuous technological developments along with the strong presence of key players and the increasing R&D investments by these players and government. Additionally, increasing awareness for the use of biological therapies would also spur the market in North America. Moreover, geriatric population, and increased sedentary lifestyle preference would also support the market growth. However, Asia Pacific is expected grow at a faster pace during the forecast period. Increasing number of patients suffering from osteoarthritis & other chronic diseases that cause osteoarthritis, changing lifestyle, and rising preference for sedentary lifestyle are the major factor anticipated to govern the market during upcoming years.